Jaime E. Bochantin (Ph.D. Texas A&M University, 2010) is an associate professor in the Communication Studies Department and the Organizational Science Ph.D. program at the University of North Carolina, Charlotte. She teaches classes at the undergraduate and graduate level on topics including organizational communication, research methods, conflict management and negotiation, and the dark side of organizational communication. Her research examines the social issues, member behavior and cultural landscape of organizations to provide managers and HR practitioners with strategies for the implementation of policies, practices and procedures to better the organization and relationships between employees and managers. Current research examines work-life/family, stress and well-being, organizational conflict and negotiation, and workplace mistreatment including incivility and bullying. 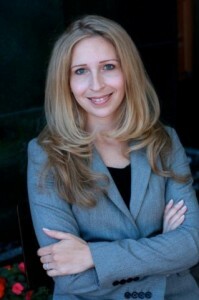 Her research appears in top tier journals including Communication Monographs, Management Communication Quarterly, Academy of Management Journal, Communication Studies, Journal of Management Inquiry, International Journal of Business Communication, Qualitative Research Reports in Communication, and Negotiations and Conflict Management Research (among others). Additionally, Dr. Bochantin regularly provides training and development workshops for a number of for-profit and non-profit organizations. Topics include team building, networking techniques, effective mentoring, behavioral selling, conflict resolution and negotiation, leadership communication, developing a professional brand and generational differences in the workplace. Using an evidence-based, scientific approach she has also done several business/management consulting engagements on the topics of work-life balance, selection process consultation and interviewer training, job satisfaction system development, 360 degree feedback, organizational culture, team-building, needs and/or program assessment, organizational change and development, retention/talent management, and conflict resolution.